Mick Beck formed Something Else in 1992 to explore his ideas about the relationship between improvisation and composition within the relatively conventional format of the sax/bass/drums trio. From its inception the group has mixed compositions and improvisation, and quickly developed a style where complex compositions played from memory could be cued at will by any member of the group, to be played, discarded or ignored by all musicians as they saw fit. The groups appearances include Sheffields Foot & Mouth Festival, three UK national tours for The Arts Council, Oxford Jazz Festival, The Outside In Festival, Other Music Festival, East Coast Jazz Festival, JazzGalerie Nickelsdorf, WIM Zurich and many others. Mick Beck has been working since 1980 in jazz, free music and as a composer and club/festival organiser. As a composer he looks for structures that can diversify and strengthen the impact of improvisation; as an improviser his aim is to mix compelling rhythms, zany melodies, changes of mood and flexibility in playing techniques to explore new musical possibilities. After leading the touring quartet, Jazzmine, in the early 1980s, he was a member of Will Evans multi-dimensional group, Dan Kolobi, and since 1984 has been a member from time to time of Derek Bailey's Company. Blending performance with composition, in 1987 he founded FeetPackets, a Sheffield-based large improvising band which toured England three times between 1988 and 1990. It has given one-off performances since then when opportunities arise, and produced a CD and two cassettes. In 1993, he was a member of the 11-piece band which celebrated the Leeds City centenary with a specially commissioned work, Music for 10(0) by Simon Fell. Recent collaborations have included a trio with Stuart Brown, keyboards and Will Evans, percussion; pianist Alex Maguire, bass player Marcio Mattos, and drummers Steve Noble and Louis Moholo; Hugh Metcalf and Bob Cobbing; and duos with Tony Marsh, drums and Mary Oliver, voice. 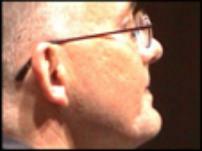 Simon Fell is a composer and double bassist active in free improvisation and contemporary jazz and chamber music. He has worked in small or medium groups with John Butcher, Peter Brötzmann, Lol Coxhill, Billy Jenkins, Joe Morris, Keith Tippett, John Zorn, Derek Bailey, Joey Baron, Elliott Sharp, Billy Bang, Christian Marclay and numerous others, and is a founder member of London Improvisers Orchestra. Other regular groupings include SFQ, IST, Hession/Wilkinson/Fell and many more. He has presented compositions for improvisers at the LMC Festival, the Termite Festival, the Frakture Festival, Leo Records' Unsung Music Festival, Freedom of the City Festival and on many other occasions. His discography includes over 70 recordings. "A major contemporary musician" - The Penguin Guide To Jazz On CD. 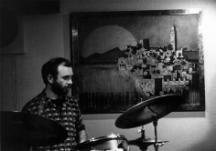 On becoming interested in free improvisation, Hession formed Art Bart & Fargo with Alan Wilkinson and Pete Malham (tenor saxophone, congas) in 1979, and in the late 1980s and early 1990s did much of the organising for the Termite Club in Leeds, formed originally by Wilkinson and guitarist Paul Buckton to perform and promote free improvised music in the area. Hession has played with many key improvisors, including Wolfgang Fuchs, Paul Rutherford, Evan Parker, Maggie Nicols, Phil Wachsmann, Peter Kowald, Paul Dunmall, Alan Tomlinson, Paul Rogers, Marcio Mattos, Lol Coxhill, and Peter Brötzmann.